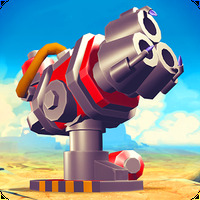 "Download the number 1 strategy game!" Game Goal: The Walking Dead: Assault is an adventure game in which you have to kill all the zombies you can and save the world from their attack. How to play: Choose your favorite character and play with it. Kill the zombies to unlock various upgrades. Use distractions to get into safety, and be careful not to make too much noise. Graphics: Cartoon style, with 3D designs with light and shadow effects. Dark colors in monochrome grayscale. Controls: Use the buttons on the screen to control your character and attack the zombies. Content Classification: Average maturity level, recommended for teens and adults. 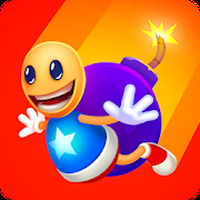 Allows interaction with other users on Google Play Leaderboards. An easy and intuitive game. Errors may occur if you are connected with more than one Facebook account. 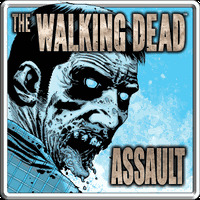 Do you like The Walking Dead: Assault? Probs my fave ever game, well done! Prepare to take on and defeat hordes of the undead! Can you survive on a desert island full of zombies? Defeat the zombies in this extremely addictive game!